The winner of the Highlife Cup at the festival in 2002 and second place in the High Times Cannabis Cup in 2000. These awards are entitled to assume that Euforia Feminized is an excellent choice any Rastaman. 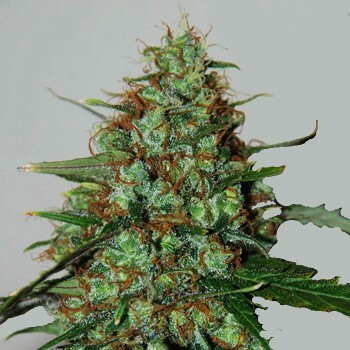 Genetics: This legendary family Skunk variety was bred in the Netherlands in 1996. Dominant in this strain is Sativa, and it is 90% of the genes Euforia Feminized, and the remaining 10% - Indica. Feature: Euforia Feminized mostly Sativa variety, and this affects its external data. The strain lying around 80 - 150 cm, depending on growth conditions. Flowering occurs rapidly and already be ready for harvesting in the seventh week. 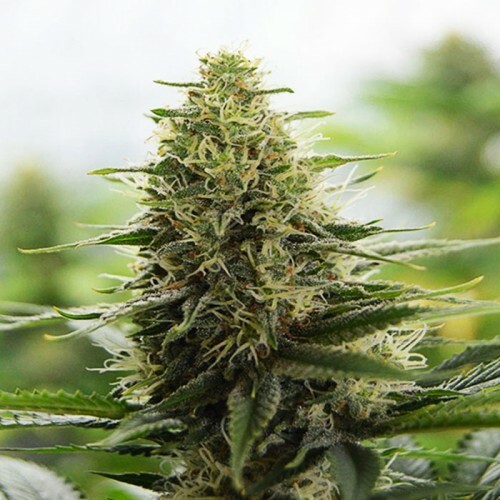 Although experienced growers say that the best waiting another week, so get a better product. During flowering bush near a clearly audible sweet citrus aroma. Productivity at Euforia Feminized very good - with one m² can be obtained 600 g of dry product. THC reaches 18%. Growing: Strain successfully grown indoors or in greenhouses, however, and in the open field can gather a good harvest. Sort totally unpretentious. It copes with diseases and resists mold and mildew. It does not require special care and is well suited for beginners growers. Effect: Euforia Feminized in a special effect on the smoker. Along with the relaxing state you will have a surge of strength and energy, the creative impulse, accompanied by fabulous euphoria. This variety is soft on the palate, with a light citrus sweetness and aftertaste cheese. Due to its exposure Euforia Feminized successfully helps to cope with stress and depression, vitality charges.